Experience, needle size, and yarn length make all the difference when it comes to how long it takes to make a scarf. If you're just beginning, for example, you may want to give yourself a few days to work on your scarf several hours per day. Several different stitches are needed to knit a scarf, but many are used with U.S. size nine and seven needles along with two or three 50-gram skeins of yarn. Scarves don't have to be a particular length or width to be successful. For your first scarf, you can knit until you run out of yarn or get tired of knitting the garter stitch. Scarves are versatile and can be made short or long depending on the purpose of knitting them. Traditionally, a scarf goes tip to tip. To do this, try holding your arms out so that the scarf reaches from your left finger across to your right one. On average, this scarf will be about 60" long. Most short scarves are 55" long, medium scarves are roughly 70" extended, and long scarves are about 82" in length. There are some scarves, like the razor shell scarflette, that is short but effective. In this case, the cashmere is warm even though it's short. You don't want to spend money on knitting a five-foot-long scarf in cashmere. This is the type of scarf you can tuck into your coat, and every inch of the yarn is helping to warm you. It's a one-skein project, making it great for gift-giving and a luxury that isn't too expensive. Some scarves, like the famous Doctor Who scarf, is usually worked for 12 or 14 feet long. These are longer and wider than most practical scarves for both knitters and wearers. In general, a scarf only needs to be long enough to wrap once around the neck. It should also have some length left over to tuck into a coat of leave dangling as desired. Another good length for a warm scarf is roughly the same as the height of the recipient. Use this rule of thumb when designing warm scarves, and shoot for around six feet in length if you're unsure. Adjust the length of scarves as necessary, such as when designing for children or adults who are either extremely tall or notably short. When it comes to children, knitters should note that an extra-long scarf can be a safety hazard. 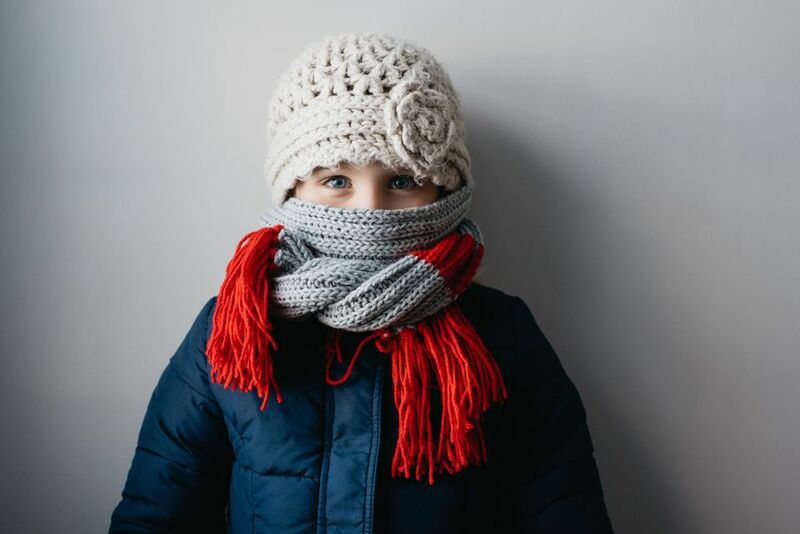 You might even consider knitting a cowl instead of a scarf, so the child can stay warm without scarf tails that could get caught in things. Scarf width also depends largely on personal preference. A fashionable skinny scarf can be fun and enjoyable when the weather isn't too cold. A wider scarf is warmer for the winter; when determining the width, knitters should also keep the type of stitch pattern they're working on in mind. If you're knitting a scarf using a lace pattern with a multiple of 18 stitches, for example, you need to take that into consideration in the planning stage. You'll want to consider all the details when it comes to width choice. Knitting a gauge swatch can be super helpful for your projects. You'll be able to see what the pattern looks like in your chosen yarn, how it drapes, and whether it looks like it will be too wide or narrow as a scarf. The good news is that if you find you don't like your first choice, there are many other stitch pattern options out there to choose from. Although knitters tend to shy away from knitting a gauge swatch, it really helps to determine the right size. Start with the yarn you want to use and the size needles it calls for, and knit a swatch that gives you about six inches per 15 cm square.